GET A HIGH LEVEL OVERVIEW OF THE THINKWISE SOFTWARE FACTORY. 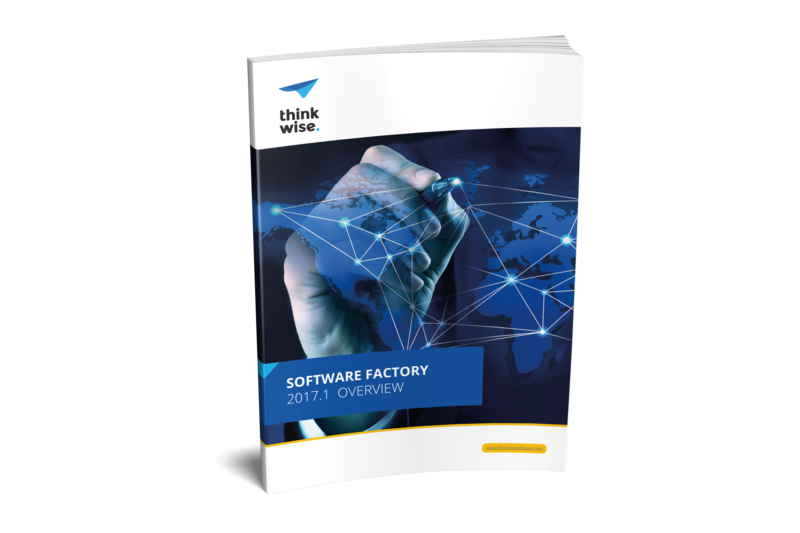 This document provides a high-level overview of the Thinkwise Software Factory. The Thinkwise Software Factory is an integrated software development environment where new software applications are developed or existing applications are modernized. These applications consist of a database, business logic, user interfaces and, if necessary, data interfaces to other applications. Applications developed within this environment are easily kept up-to-date both technologically and functionally. The productivity of the development process amounts to 0.5 hours per function point where currently the market average for traditional software development is 8 to 10 hours per function point and the market average for other low-code platforms is approximately 2.5 hours per function point . REQUEST THE OVERVIEW DOCUMENT RIGHT NOW!